Vladimír Godár was awarded the Great SOZA Award for his whole-life work. The composer has not attended the ceremony on November 11, 2016, where the prize was awarded. 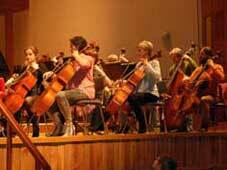 The Slovak State Philharmonic Košice joined the musicians which planned to honour the 60th jubillee of Vladimír Godár with a special concert taking place on October 16, 2016. 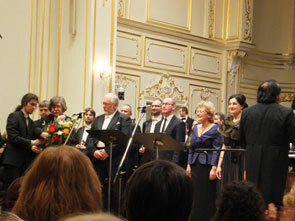 Led by popular conductor Leoš Svárovský the soloists Iva Bittová and Tomáš Šelc performed, joined by a vocal ensemble Gregoriana led by Marek Klein and the Philharmonic. 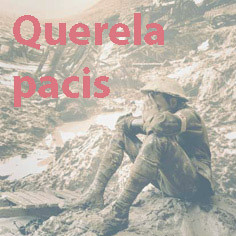 Popular and less known pieces sounded, as well as selection of movements from Godár’s oratorio Orbis sensualium pictus and Querela pacis. 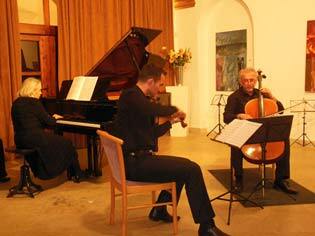 A beautiful experience, a gorgeous performance was rewarded by a long-lasting applause from the audience. 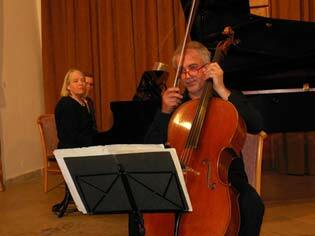 Have a look at some photos from the concert! This year, 2016, Vladimír Godár turns 60. 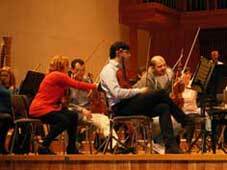 That was the impetus for many Slovak performers to include his compositions on their concerts. So during a span of several months we have an opportunity to listen to his almost whole-life oeuvre. 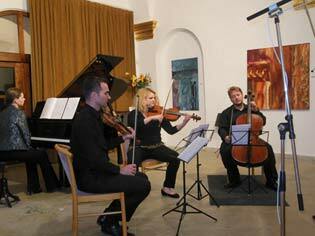 After the concert of the Moyzes Quartet on September 13, 2016, on which 7 pieces of his sounded, the festival Convergences 2016 comes. On September 22 Jozef Lupták with his friends-musicians will perform Ricercar and a premiere of the piece Prologos for cello solo. 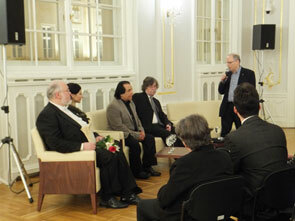 Moreover the movies about the celebrating composers – Martin Burlas, Juraj Hatrík and Vladimír Godár – will be projected. The interview with Vladimír Godár has been published in the latest issue of the monthly Hudobný život (Musical Life) 7-8/2016. The interviewer was Melánia Puškášová. A new CD with the music by Vladimír Godár was released by the Music Fund Slovakia in July 2016. 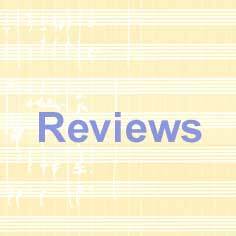 Its title is Crux and it contains the pieces which were not attainable for the listeners till now: Dariachangi’s Garden and Via lucis, joined by O Crux, the cellists’ favourite piece. More details regarding the performers can be found on the page Discography. 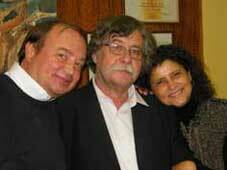 On Wednesday April 20, 2016 there was an opportunity to listen to music of Vladimír Godár in the radio show Classical Discoveries aired by Marvin Rosen on wprb.com. 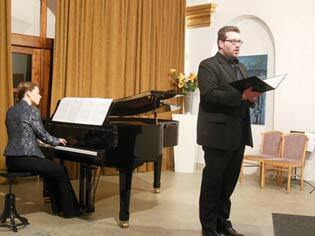 Dozen of Godár’s pieces were presented on the occasion of the author’s 60th anniversary. 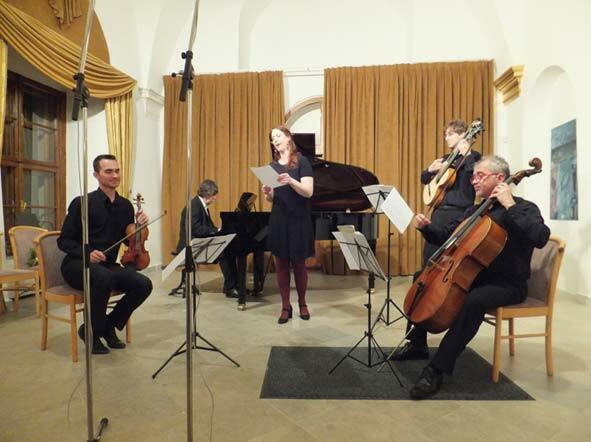 On Tuesday April 19, 2016 a chamber Birthday Concert of VG took place organized by the association Albrechtina, member of which is also Vladimír Godár. 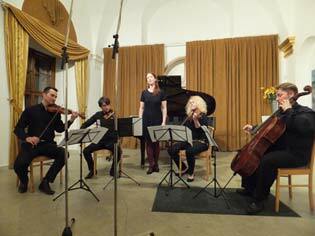 The members of the association and musicians – the author’s friends performed the music of almost four decades of Godár’s creative period. 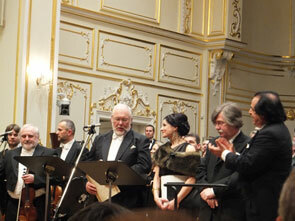 The overcrowded hall of Pálffy Palace applauded the young musicians, some of who played Godár’s pieces for the first time, as well as those who had played his works in premieres several decades ago. Slovak Philharmonic Orchestra, Slovak Philharmonic Choir and Bratislava Boys’ Choir together with the soloists Helena Becze-Szabó and Peter Mikuláš, led by the conductor Alexander Rahbari prepared a terrific concert – the performance of Godár’s oratorio Orbis sensualium pictus. 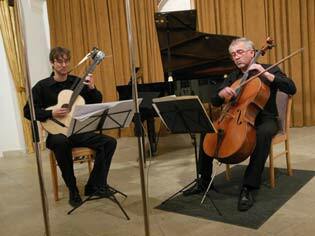 The piece was performed last time in 1992 and there are only few musicians who took part either in premiere in 1985 or the second performance 24 years ago; one of them was the bass Peter Mikuláš. 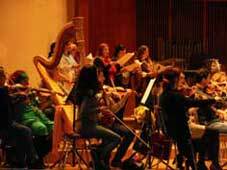 An open rehearsal took place and two concerts on March 17 and 18, 2016, and the concert hall was full at all occasions. 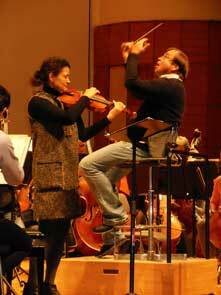 The conductor Rahbari was enamoured of the piece, he conducted it by heart and turned the pages of the score without bowing his head. 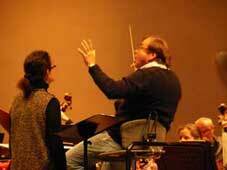 The awesome performances proved the passionate relation of the performers towards the composition. 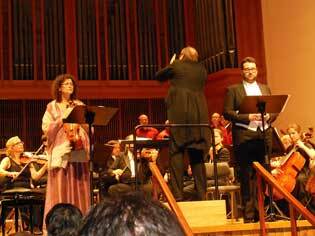 And the audience rewarded the composer and musicians with a long-lasting storm of applause. 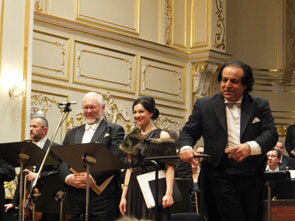 The conductor Rahbari interrupted the applause on both nights and in a comprehensible German said to the audience: “This piece should be performed everywhere. 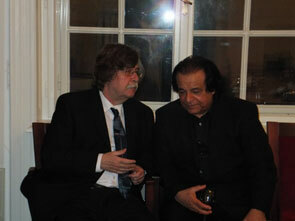 It is an extraordinary composition.” On behalf of Vladimír Godár thank you all who contributed to that wonderful night. 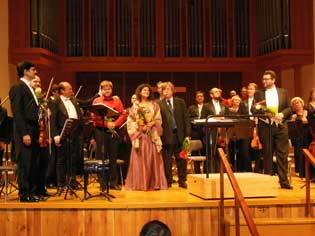 Slovak Chamber Orchestra led by Ewald Danel commemorated the jubilee of Vladimír Godár by the piece Little Suite for Little David at the concert on March 13, 2016. 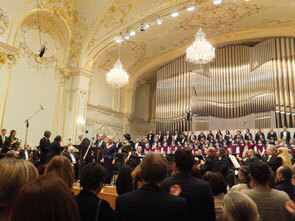 Lyrical Cantata by Vladimír Godár was performed on February 26, 2016 at the concert of the Slovak Radio Symphony Orchestra . 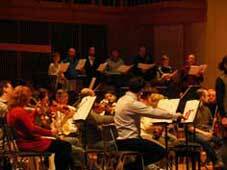 Being a piece from the Godár’s twelve-tone period it is a historically important composition today. 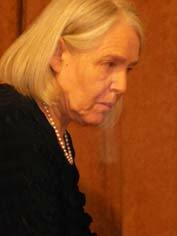 Eva Šušková sang soprano, Mario Košik was the conductor. As Vladimír Godár will celebrate an important jubilee in several days, a series of concerts featuring his music will take place. 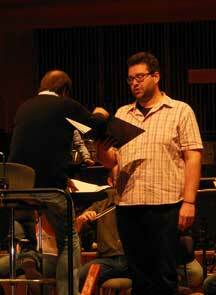 At the beginning of February his piece Emmeleia will be included into the concert of Sinfonietta Žilina, the other piece Lyrical Cantata will sound at the concert of the Slovak Radio Symphony Orchestra in Bratislava, and some events will take place also in the Slovak Philharmonic. 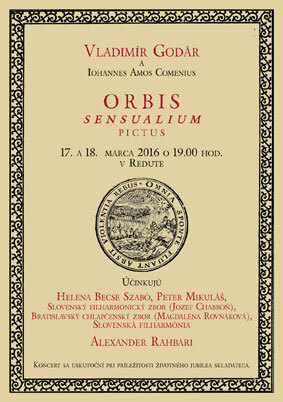 The performance of the oratorio Orbis sensualium pictus will be performed at the subscription series concerts on March 17. and 18. 2016. 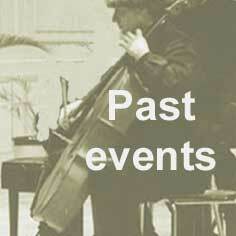 The performance of the Sonata on Memory of Viktor Shklovsky for cello and piano rendered by the duo Martha & Monica in San Francisco in February belongs to the foreign events. 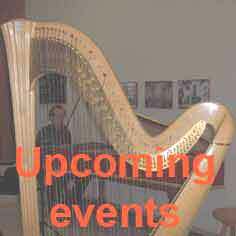 Detailes are given on the Upcoming Events page of our website.